Conference Centers are a group of conference rooms. They can be organized by cost center, geographically, or other criteria. To view rooms click the ROOMS at the top right. Name: Name of the Conference Center. Greeting: Choose a greeting to play. PIN Length: Add a layer of security for entering the Conference Center. 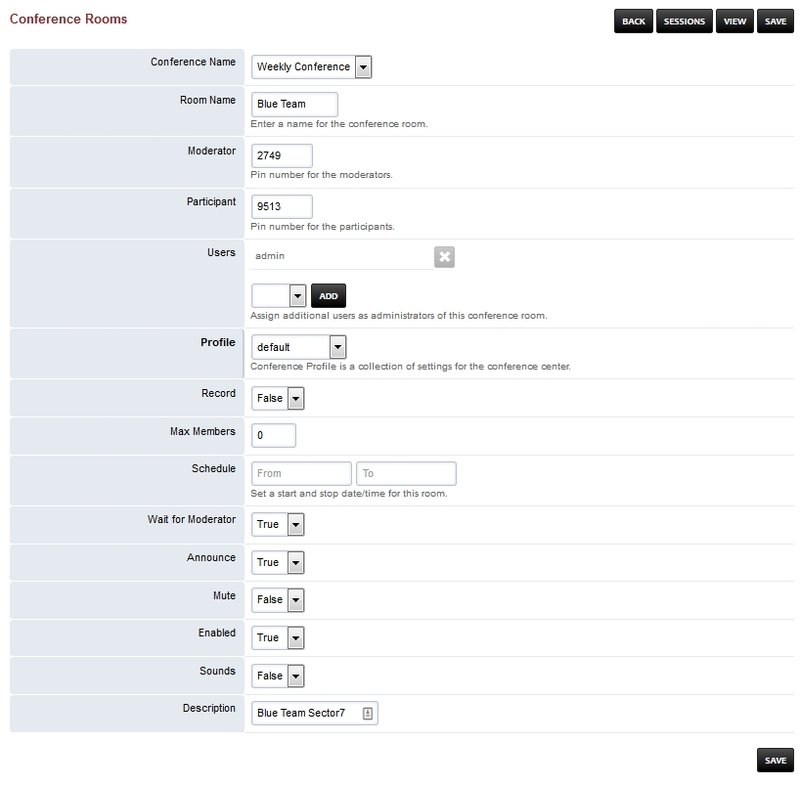 Enabled: Enable or disable the Conference Center. Description: A way to organize what the Conference Center is for.